The Mockingbird are launching into the New Year with a whole evening dedicated to cult nineties comedy, Clerks. On Friday 19th January, the Custard Factory based ‘cinema and kitchen’ will be screening the Kevin Smith debut, alongside Shooting Clerks – the feature length comedy/biographical drama about the making of the original. Doors open at 7pm, with tickets priced at £10 for entry to both films. For direct screening info, alongside links to online tickets sales, click here. For the unacquainted, this black & white indie flick was made on $28,000 and shot by night in the convenience and video stores its director, Kevin Smith, once worked at by day. Clerks ended up grossing over $3 million. Upon its release in 1994, Clerks was loved by audiences and critics for its deadpan performances and sharp dialogue. Peter Travers wrote in Rolling Stone that, ‘Smith nails the obsessive verbal wrangling of smart, stalled twentysomethings who can’t figure out how to get their ideas into motion.’ It ended up spawning two sequels, spin off TV shows, cartoons and comics. Smith’s feature length debut also went on to win a slue of industry awards, including the ‘Award of the Youth’ and ‘Mercedes-Benz Award’ at the 1994 Cannes Film Festival, and being joint awarded the ‘Filmmakers Trophy’ at the 1994 Sundance Film Festival – along with Boaz Yakin’s thriller, Fresh. 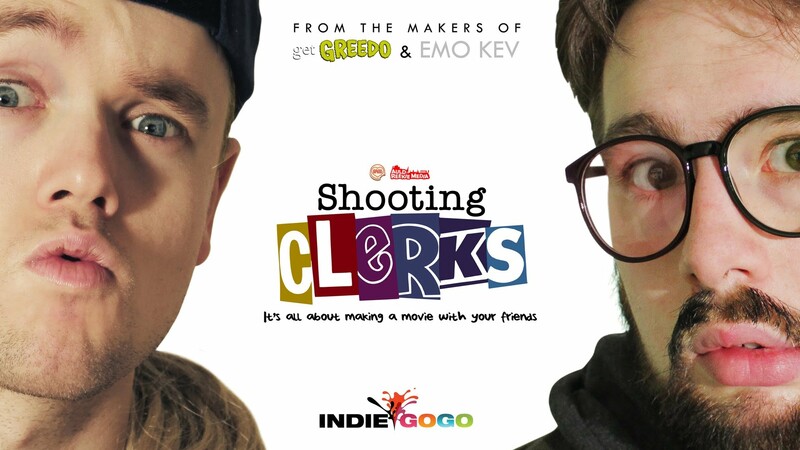 The evening will start at 7:15pm with a screening of Shooting Clerks, a biopic shot in Dundee, Fife, New Jersey and Florida by the Scottish based production house, Auld Reekie Media. Director Christopher Downie tells the story behind Clerks, and how Kevin Smith went from indie crusader to cinematic icon. Embodying the underdog spirit of its muse, the documentary went from being only 9% funded on its original IndieGoGo fundraiser to winning the Orlando Film Festival Indie Spirit Award. While Shooting Clerks had a US release in 2016 (including a special screening in Kevin Smith’s hometown of Atlantic Highlands, New Jersey) it’s only now getting a UK release. After the screening, Downie will be joined by members of the Shooting Clerks cast. Following autograph signing and photo ops, a showing of the original Clerks (1994) will kick off at 10pm. On Friday 19th January, The Mockingbird Cinema & Kitchen will be screening a double bill of Clerks and Shooting Clerks, alongside a Q&A with crew and cast members from Shooting Clerks.